Twitter is going crazy over the recent pump from TRON (TRX) on Bitmex which saw TRX fly up by around 48% in around 15 minutes before crashing right back down liquidating both long and short positions. 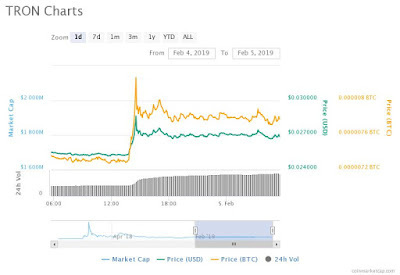 "Tron TRX Price Is Flying Up"
Right now users on Twitter are in a state of confusion, not quite sure what to think after the pump and subsequent dump of TRX. 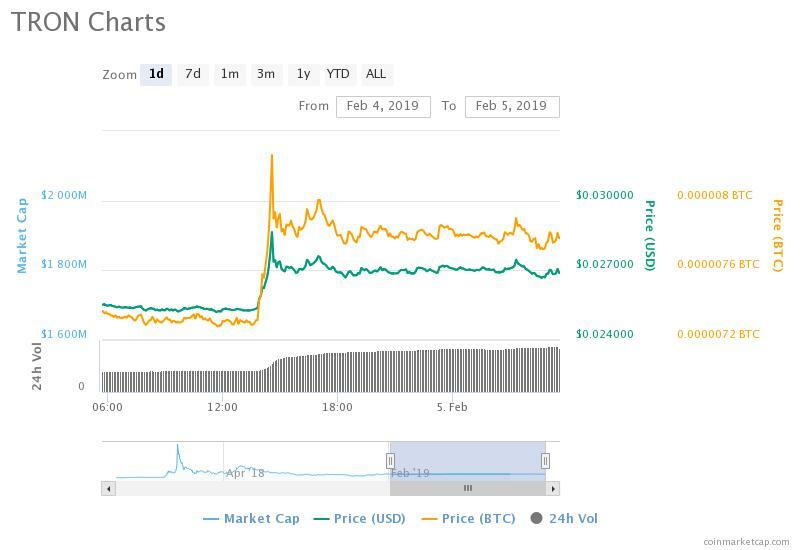 The similar hike was observed a week back when Tron pumped and took over the Stellar Lumens [XLM] and Litecoin [LTC] for a while to go as high as the sixth position on the CoinMarketCap list when the coin touched the $2 billion mark in terms of market cap. However, on January 28, the coin settled for the eighth position with a market cap of $1.929 billion. At the time of press, the coin was highly traded on OEX, which registered a volume of $58 million with the TRX/ETH pair. OEX was followed by UPbit, noting a volume of $20 billion with the TRX/KRW pair.